Release: The notification was released on 21st December 2018. 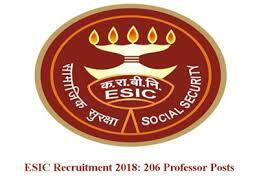 Total Vacancies: There are a total of 1125 vacancies in ESIC Recruitment 2019 Exam. Application Window: ESIC 2019 application form was available from 21st December 2018 to 21st January 2019. Examination Date: The ESIC 2019 exam was conducted on 8th March 2019.